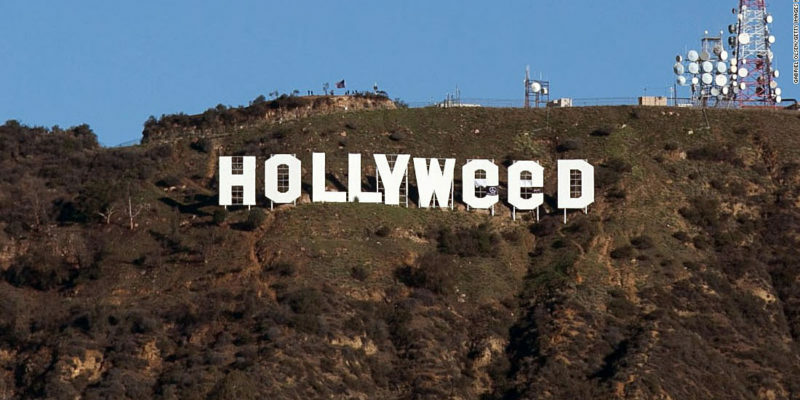 The year 2017 Began on the West Coast with HOLLYWEED. 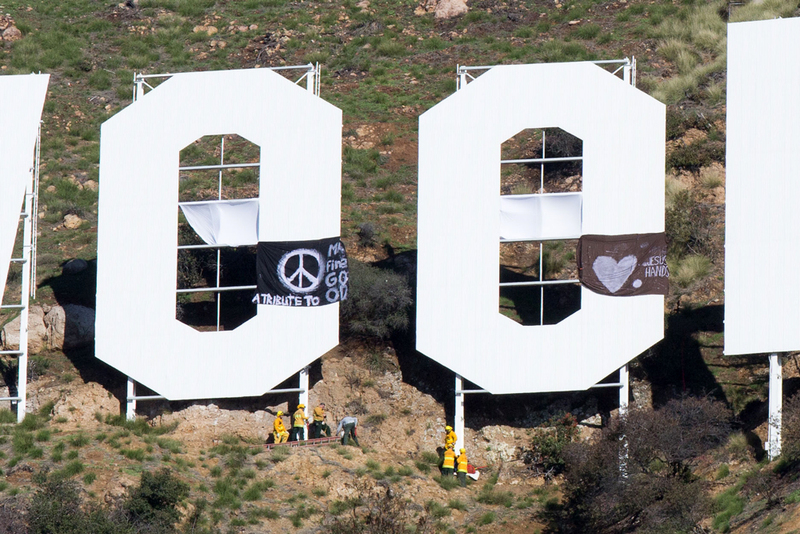 Zachary Cole Fernandez and Sarah Fern took a couple of dark and white sheets and made the Hollywood say, “HOLLYWEED”. Outfitted in camouflage they climbed up the double ‘Os’ to install 2 white and 2 artistically designed dark sheets to transform the iconic sign even more iconic! Partly as an homage to Daniel N. Finegood, an art student at Cal State Northridge who pulled the “gag” for a project on New Year’s Day in 1976. He got an A. Adding to this previously in November 2016, California legalized recreational marijuana.